This week in Inbound Marketing Highlights, we'll be discussing everything from new Oreo packaging to internet scams. Learn best practices for pop-up ads, how to successfully reach Gen Z in your campaigns, and much more by reading below! Oreo has added new packaging for a very niche customer: lefties! That’s right, as part of International Lefthander’s Day, they have released a limited-edition pack. These packs contain a flap in which you can open from the right side, as opposed to the normal left. The idea is to make it easier for lefties to open. 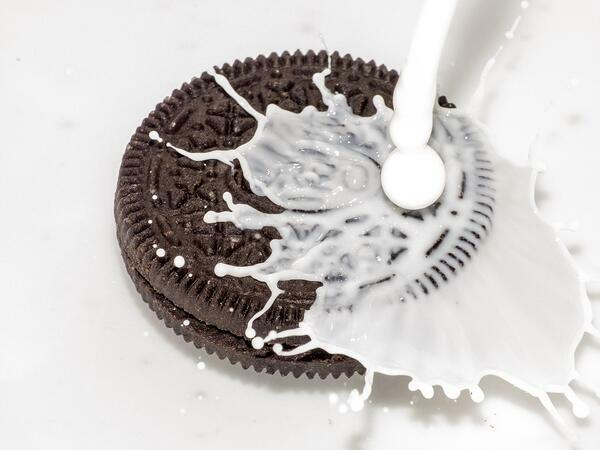 And in order to push this special edition product, Oreo has created a website where lefties can exclusively order the product. They have also released a comedic 30-second video to further public awareness. Not only is this idea creative and relevant, but with International Lefthander’s Day right around the corner, it will also help them grow the e-commerce portion of their business. In addition to the website’s success, their video clip has also panned out well, with 260,000 hits on Twitter upon release. A new social media feature that has been taking the world by storm is Instagram TV (IGTV). With this new addition, many brands are seeing it as a way to get ahead in this busy world of advertising. The feature accommodates long-form videos of up to an hour, allowing creators, affluent users, and brands to post. The founders of Instagram are hoping that with IGTV, that users will spend longer periods of time on their app. IGTV is different than stories because creators will have a separate channel for it. Users also have the option to download the app, where they can store footage in their account. What differentiates IGTV from competitor’s like YouTube is that it focuses on vertical video, as opposed to the widely used horizontal video. So why are brands paying attention? Like all of their new features, Instagram is adding notifications for new videos and giving it priority within the app. If you add a video, your post will be at the top of a user’s feed with a visible notification, making it great for brand awareness. Pop-up ads. While some may see them as disruptive and annoying, they can also be done tastefully and lead to conversions. The first pop-up appeared in the 1990s and since then, they have stirred up quite the controversy. With spammers abusing these ads, Google penalized users in their search results, while many software companies created pop-up blockers. But interestingly enough, these ads are more successful then you might think. While banner ads have a click through rate of 0.15 - 0.25%, pop-up ads have a much higher rate of 2 - 4%. The key to success with these is to ensure it is well-timed, and well-placed, for the right people. A mass campaign and broad targeted campaign, on the other hand, has the potential to do more harm than good. To prevent this, triggers can be used in order to help with timing and targeting. For example, markets may want to try triggering the message as a person is clicking to exit. Other tips include utilizing attractive visualizes as well as an offer with real value, like a discount or freebie. If you’re looking to implement pop-up ads in a helpful and optimized way, HubSpot Lead Flows is a great tool for this. While marketers are quick to focus on reaching Millennials, they may want to shift some of their attention to Gen Zers, those who were born from 1997-2003. This generation is quickly growing into adulthood and proving to have vastly different buying habits from the generation before them. While online shopping is on the rise today, Gen Z is going against the grain with shopping frequently at outlet malls. As a generation, they are 139% more likely to shop at Urban Outfitters and 124% to shop at Forever 21. With their surprising draw to brick-and-mortar shops, studies show that retailers like Sephora and Zara have both adjusted their in-store digital experience to bring these young shoppers through the door. Some of these features include augmented reality, self-service, and mobile in-store shopping. Even more surprising may be that Gen Zers are 20% more likely to visit a fast food restaurant compared to all other generations. This is different from their millennial predecessors who frequent healthier chains like Chop’t, Just Salad, and Juice Generation. With Gen Z expected to hold $143 billion in spending power by 2020, brands will want to pay attention to their preferences more than ever. As if marketers didn’t have enough on their plates, they now have to pay attention to the internet’s latest big scam: fake social media accounts. Now we don’t mean fake followers, or fake influencers (like we’ve discussed in the past). These are pages that impersonate your brand or your CEO, and arguably do more serious damage. Now why are people targeting brands in this way? Well, some criminals are looking for money. Say you’re impersonating a bank; you can ask followers for their login credentials and use it to steal. Some of the other scams we’ve been seeing are to tarnish a brand’s reputation. These scams are normally conducted by bitter past employees, who are looking for some kind of revenge. If you’re afraid you might be victim of impersonation, there are now AI tools that can help you spot phonies.